“It is with a heavy heart that we announce that LEGO Minifigures Online will be closing on September 30th, 2016. We know that many of you are still enjoying your adventures in the game, and this has been a difficult decision for us to make but unfortunately, the time has come to retire LEGO Minifigures Online. Starting June 6th, 2016, new players will be unable to join the game and the in-game chat will be disabled. Existing players will still be able to play up until September 30th, 2016. It is never easy saying goodbye to friends, but we will forever be thankful for the time we have spent together with you – the community – adventuring through the worlds of LEGO Minifigures Online. The game was originally announced as a free-to-play title and was available as such through June 28th, 2015. On June 29th it was “fully released” as a for-pay title at $29.99 on PC and $4.99 on Android and iOS. Despite changing to a direct-profit model, the game allegedly did not meet Funcom’s expected revenue and either Funcom or The LEGO Group made the call to shut it down. 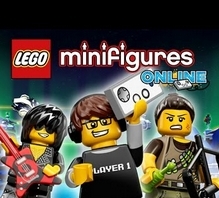 “Play now to meet the Minifigures! Collect them all and bring them with you on grand adventures in LEGO Minifigures Online – an epic online game where you get to explore colorful locations such as Pirate World, Space World, Medieval World and Dino World! Explore many wondrous worlds of LEGO each teeming with life, detail and awesome adventure! From lush islands held by swashbuckling pirates to alien worlds where the Galaxy Patrol must battle dangers such as an alien and mercenary invasion! Play together with thousands of other players from all over the world! Face the adventure together and take on challening epic dungeons such as The Dragon Halls or Treasure Island! Gather experience and level up minifigures by smashing your way through enemies, rocks and LEGO bricks! Customize your playstyle by collecting special bricks and put them together in unique shapes to upgrade abilities such as defense or creativity! Take on quests such as searching for buried treasure in the pirate world, retrieving the king’s crown in the Medieval World, and even helping Zeus himself in the Mythology World!